Bob hairstyles first became popular in the 1920’s when many film stars like Louise Brooks and Colleen Moore popularized the hairstyle. Up to now, in 2013, the bob hairstyles have been fashionable hairstyles favored by some popular artists. Here are some of the most popular bob hairstyles of 2013. This kind of bob hairstyle sported by Dianna Argon in this picture is a kind of bob hairstyle which we usually call “layered bob.” This is a typical bob characterized by many layers creating a lot of textures for the hair. This layered bob is very attractive and charming to sport and you will surely love to sport this very appealing bob hairstyle. This A-line bob hairstyle as sported by Victoria Beckham is very alluring and attractive to behold. The razor-cut back creates a distinctly appealing hairstyle coupled with the lovely front hair curling sweetly under the chin. This A-line bob hairstyle is definitely very elegant and captivating to look at. This awesome blonde layered hairstyle is very elegant and very gorgeous. The layers create a lot of body and textures for the hair giving it a very appealing and glamorous look. You will definitely love to sport this amazing layered bob. This awesome bob hairstyle is ravishingly attractive. It is somewhat asymmetrical with one front side a bit longer than the other. Likewise, the side-parted hair is quite alluring and seductive to look at. You will surely love to sport this interesting bob hairstyle. There is something very alluring and attractive in this awesome layered bob hairstyle. The curls definitely fit the whole hairstyle and create an astonishingly gorgeous and glamorous hairstyle which is quite charming to behold. You will definitely love this fascinating and enchanting hairstyle. 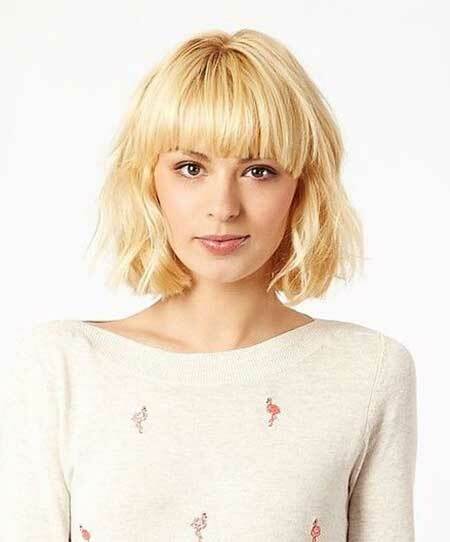 This fantastic blonde bob hairstyle is surely a fitting addition to the list of trendy bob hairstyles of 2013. The slight curls at the lower end of the sides create some alluring and attractive textures which further enhance this lovely bob hairstyle. Do you want to sport a glamorous graduated bob hairstyle? This is definitely a lovely bob hairstyle which is quite commonly sported by most women who prefer bob hairstyle. This blonde bob hairstyle is very enticing and interesting to wear and is pleasing and delightful to look at. You will surely love to sport this fantastic hairstyle. This awesome and very fashionable bob hairstyle is classified as asymmetrical by looking at the slight variation of front hair length; otherwise, this will be classified as a typical bob hairstyle. However, this awesome hairstyle is made distinct and unique by the explosive top hair which flow naturally outward from the center top. Gorgeous and glamorous, you will surely love to sport this very captivating hairstyle. This very interesting and intriguing hairstyle is made awesome by the layered sides and backs. Likewise, the black hair which curls naturally below the chin is very feminine and very captivating to look at. I would love to sport this layered bob every once in a while. This typical bob hairstyle is very cute and lovely to look at. 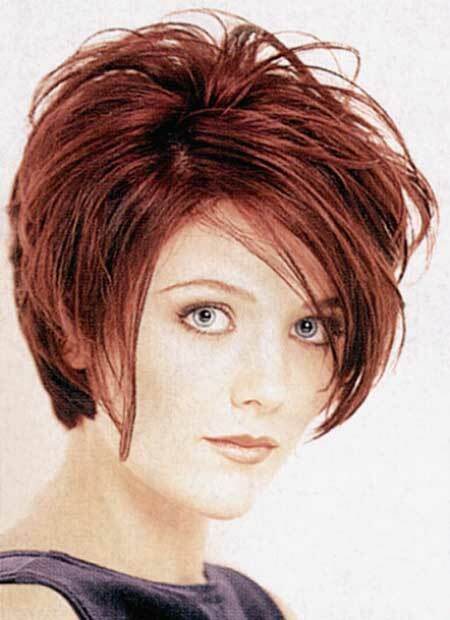 What makes this variation of bob hairstyle unique is the volume of side-parted bangs which defines this hairstyle. The side-parted bangs slightly cover one side of the face and give anyone wearing this hairstyle a fantastically cool and a gorgeous look. You will surely love to sport this amazing hairstyle. Let me categorize this awesome bob hairstyle among the typical bob hairstyle group. 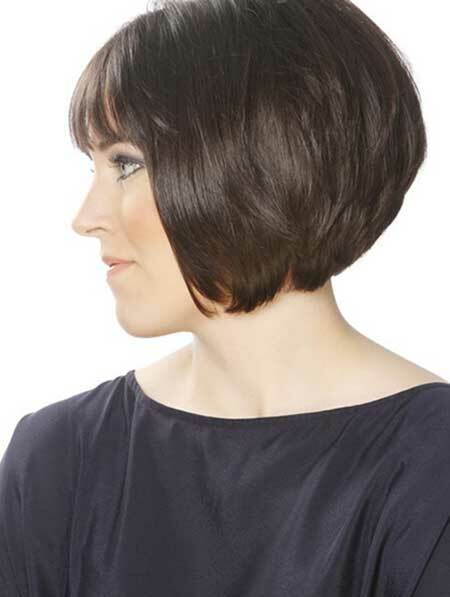 However, the few layers along the side may include this bob hairstyle in the group of the layered bob. The overall look created by this bob hairstyle is awesome and very feminine. You will definitely love to try this amazing bob hairstyle. This is a perfect example of an A-line bob hairstyle which has a shorter back and longer front. Cool and charming, this awesome hairstyle is punctuated by symmetrical bangs. You will definitely love to sport this very interesting A-line bob hairstyle. This is an amazing example of an asymmetrical bob hairstyle which has one front side longer than the other. This gorgeous and very attractive asymmetrical hairstyle is hard to ignore. Likewise, the flashy blonde hair further enhances the appeal of this bob hairstyle. I would like to sport this hairstyle often. One good thing about an A-line bob hairstyle is the different ways you can style it. You can create fantastic and amazing looks with this hairstyle by wearing headbands of varying designs. In this series of pictures, the different unique looks created with the use of headbands will surely amaze you. If you want to be a bit experimental, you can change your mood and look with the simple twist created by the use of headbands. 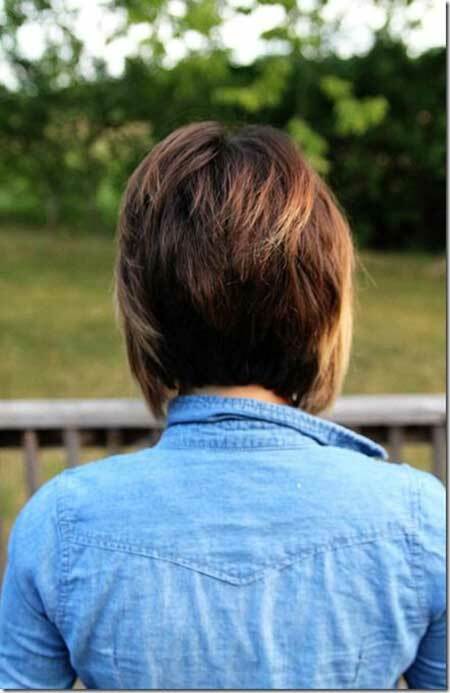 This awesome back view of a graduated bob hairstyle lets you distinguish between an A-line bob and a graduated bob. The A-line bob is not layered but has a shorter back, while the graduated bob has shorter layered back. You will definitely find both bob hairstyles very interesting and charming to sport.